Clinical Associate Professor, UBC Department of Pathology and Laboratory Medicine. Lee IF, van den Elzen P, Tan R, Priatel JJ. NKT cells are required for complete Freund’s adjuvant-mediated protection from autoimmune diabetes. J Immunol. 2011 Sep 15;187(6):2898-904. Allan LL, Stax AM, Zheng DJ, Chung BK, Kozak FK, Tan R, van den Elzen P. CD1d and CD1c expression in human B cells is regulated by activation and retinoic acid receptor signaling. J Immunol. 2011 May 1;186(9):5261-72. Chang YJ, Kim HY, Albacker LA, Lee HH, Baumgarth N, Akira S, Savage PB, Endo S, Yamamura T, Maaskant J, Kitano N, Singh A, Bhatt A, Besra GS, van den Elzen P, Appelmelk B, Franck RW, Chen G, DeKruyff RH, Shimamura M, Illarionov P, Umetsu DT. Influenza infection in suckling mice expands an NKT cell subset that protects against airway hyperreactivity. J Clin Invest. 2011 Jan;121(1):57-69. Rzemieniak SE, Hirschfeld AF, Victor RE, Chilvers MA, Zheng D, van den Elzen P, Turvey SE. Acidification-dependent activation of CD1d-restricted natural killer T cells is intact in cystic fibrosis. Immunology. 2010 Jun;130(2):288-95. Allan LL, Hoefl K, Zheng DJ, Chung BK, Kozak FK, Tan R, van den Elzen P. Apolipoprotein mediated lipid antigen presentation in B cells provides a pathway for innate help by NKT cells. Blood. 2009 Sep 17;114(12):2411-6. Menezes JS, van den Elzen P, Thornes J, Huffman D, Droin NM, Maverakis E, Sercarz EE. A public T cell clonotype within a heterogeneous autoreactive repertoire is dominant in driving EAE. J Clin Invest. 2007 Aug;117(8):2176-85.
van den Elzen P, Garg S, León L, Brigl M, Leadbetter EA, Gumperz JE, Dascher CC, Cheng TY, Sacks FM, Illarionov PA, Besra GS, Kent SC, Moody DB, Brenner MB. Apolipoprotein-mediated pathways of lipid antigen presentation. Nature. 2005 Oct 6;437(7060):906-10. Hava DL, Brigl M, van den Elzen P, Zajonc DM, Wilson IA, Brenner MB. CD1 assembly and the formation of CD1-antigen complexes. Curr Opin Immunol. 2005 Feb;17(1):88-94. Immune responses are initiated when T cells recognize antigens displayed by antigen presenting cells (APC). Classically, T cell recognition is towards peptide antigens displayed on APC by MHC molecules. More recently, lipid antigens were found to be similarly displayed by the MHC-like molecule, CD1, and recognized by an unconventional class of T cells, including NKT cells. 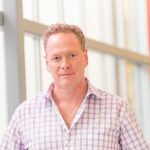 We are interested in exploring the biology of lipid antigen recognition by T cells, and the role this has in a number of human diseases, including autoimmune diseases such as multiple sclerosis, diabetes and lupus, infectious diseases as well as inflammatory diseases such as atherosclerosis. We have recently discovered a new role for the serum lipoprotein apoE in the immune response to lipid antigens. We will continue to explore the role of apolipoproteins in lipid antigen presentation as this has particular relevance to diseases such as atherosclerosis and autoimmune disease. A major endeavor will be to identify lipid and glycolipid antigens that are presented by CD1 to T cells in various physiological settings and the role they play in disease. This will involve screening of candidate lipid antigens, as well as discovery approaches to find novel lipid antigens from various biological sources (cells, tissues or blood). We are exploring whether autoimmunity to self lipids plays a role in the pathophysiology of diseases such as multiple sclerosis, diabetes, lupus and atherosclerosis. This involves characterization of lipid-reactive T cells and anti-lipid antibodies from the peripheral blood or tissues of patients and in animal models of disease. In multiple sclerosis, the lipid-rich myelin sheath is a target of immune attack, and we are exploring whether this attack is directed at the lipid components of myelin and the role that lipid transport proteins such as apoE have in this recognition. In type 1 diabetes, autoimmunity is directed against pancreatic beta cells and a regulatory role exists for NKT cells, which recognize glycolipid antigens. We are working to determine the mechanism of this regulation and the role that lipid/glycolipid recognition has in this process. Lupus is also characterized by autoimmunity to self antigens, and this may include lipid antigens such as phospholipids and blood borne lipids found in lipoproteins. Atherosclerosis is the underlying cause of the highest number of deaths in the Western World, and the inflammatory process that causes it likely begins early in life, and is particularly a byproduct of diseases such as diabetes, lupus and arthritis. Perturbations in blood lipids are a key feature of atherosclerosis, as is an inflammatory response in the walls of blood vessels. Our work, which defines a pathway by which the immune system directly targets blood lipids, has important implications for the pathogenesis of atherosclerosis. We are exploring whether serum lipids can be targeted in atherosclerosis and associated conditions. The discovery of lipid antigens that are targeted by the immune system will lead to lipid-based therapies which can alter the immune response. An important subset of CD1 restricted T cells include “NKT” cells which recognize glycolipids presented by CD1d. NKT cells have been shown to play many diverse roles in immunity from the regulation of autoimmune diseases such as type 1 diabetes to a pro-inflammatory role in diseases such as atherosclerosis. We are studying the mechanisms by which NKT cells exert this control, from their effect on B cells in the production of antibodies, to their effect on classical T cell immunity mediated by CD4+ and CD8+ T cells.